I hope our tips have been helpful and that you’ve hugely enjoyed the experience with your Impact Intern. However the time has come for your intern to spread their wings and fly! But before they do that, now is the perfect time to capture the achievements and learnings and to show your appreciation for all the hard work they have done while interning at your organisation. By logging into Milaana you can access our Project End support materials numbered 5, 6 and 7. Impact Placement Report (Intern to complete) – This report is to be compiled by your intern for the internal use of the organisation. It is intended to capture the intern’s insights and learning’s during their time with your organisation as completion/hand-over document. Performance Evaluation (Supervisor to complete)– This evaluation is of the interns performance and growth during their time to provide constructive feedback for the interns continued personal and career development. Case Study (Both to complete) – Sharing your success story! For the intern and then the supervise to fill out to share what has been achieved and to showcase both the intern and your wonderful organisation when we publicly post this on your behalf! The above is all about capturing the lessons learnt and reflecting on the experience. 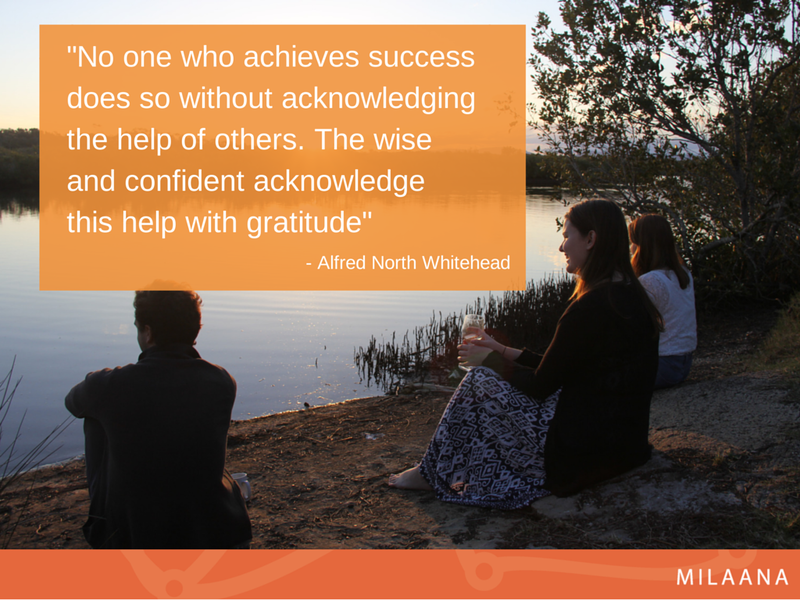 Now comes the next and equally important part – showing your appreciation!! Here are a few simple and easy ways you can say thank you to your intern, beyond saying it in person or by email. Trust us, they’ll appreciate it! This is the perfect time to reflect on the interns experience with your organisation and to hear what they gained from it. Remember that your intern is a student who worked for free, so it wouldn’t hurt to shout them a coffee in appreciation for their great work. It would also be good to bring the whole team along so that you can acknowledge the work your intern did with all of your office colleagues. Be sure to leave the post-internship feedback for private in the office. The event should be casual and celebratory! 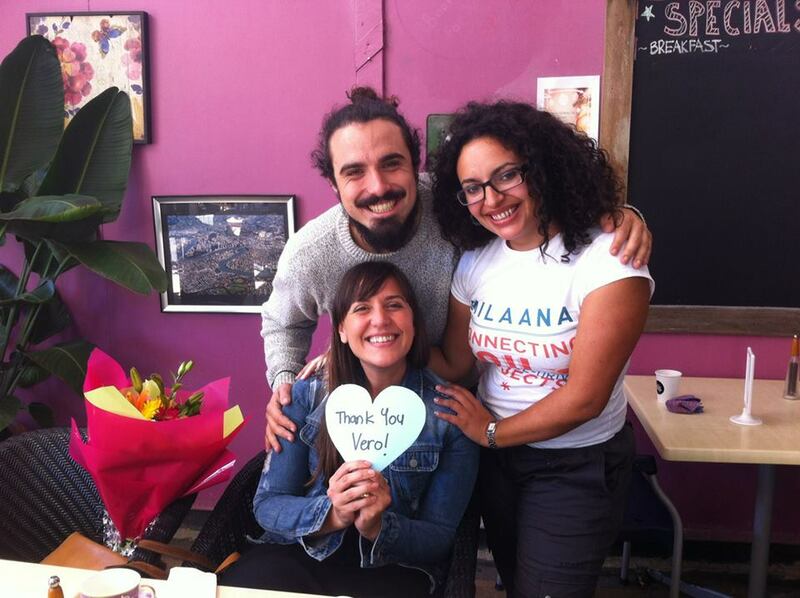 The Milaana team farewelling the lovely Vero! So you know how we all love it when we are acknowledged publicly on social media? Well your interns will love it just as much! Get on your Facebook, Twitter or Instagram page and write a message that highlights their time with you and how much your organisation appreciated their help. Perhaps you could show off some off the work they did for you or mention how your organisation has benefited from them. This simple and easy gesture will have your intern full of happiness that you acknowledged their effort and the fact they were publicly acknowledged will mean so much more for them! Our first success Story! 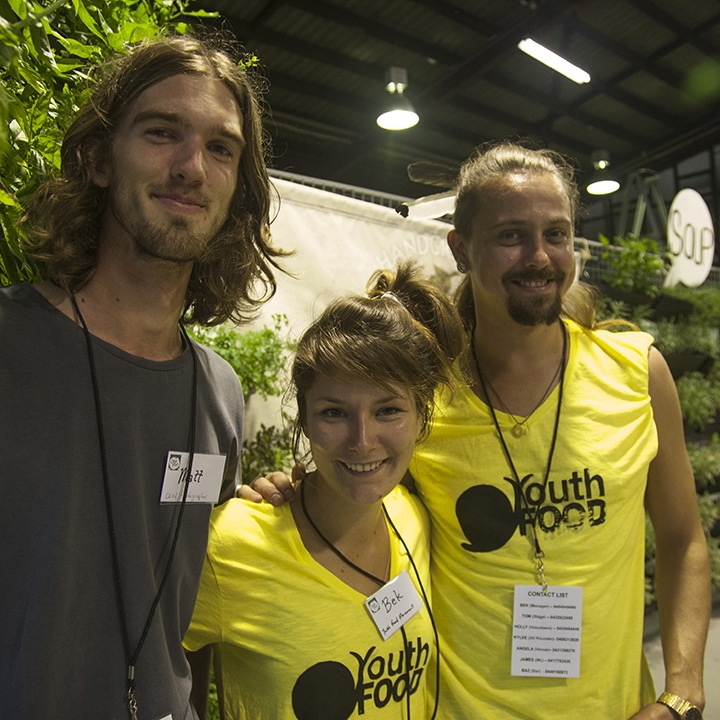 Matt and the Youth Food Movement! As mentioned, if you’re an organisation with Milaana then you are given the chance to fill out a Case Study that highlights the experience you had with your intern which we then turn into ‘Success Story’ blog post. You can check out a few of our previous success stories here. Re-share and promote this story to further show your gratitude and share what amazing things you have achieved together! It will also inspire others to engage in Impact Placements! As you know, LinkedIn is growing stronger for recruiting candidates for jobs. If your intern was really great, why not help their job prospects by giving them a recommendation on LinkedIn? It doesn’t need to be anything too big – just a paragraph or two that sums up your impression of them, what skills they demonstrated and why they would be of value to other employers. If your intern worked really hard and you see them as someone that fits your organisation, why not offer them a position? If you can’t offer anything permanent, think about employing them casually, part-time or engage them if you have an upcoming project which matches them. Then when you do end up hiring, you will already have someone in mind without having to go through the time, training and costs of hiring a completely new person. Plus you know they are excellent, guaranteed! So that was the last post in our series of Best Practice Guides for Organisations! What did you think? Were these posts helpful? How was your experience with you intern. We want to know! So please feel free to comment below or connect with us on Facebook or Twitter to let us know how it all went! As you can see, we work hard to go above and beyond just ‘connecting’ with these additional resources and support. If you’re not a Milaana organisation, what are you waiting for?